One must be careful about the ECJ deliberations on whether the UK could unilaterally revoke its Article 50 "notification of the intention to withdraw from the EU". The full court has not ruled on the matter yet. All we have seen is the proposal of Advocate General Campos Sánchez-Bordona, as to what the ECJ should declare when it rules in about two weeks. For those interested in such matters, the Advocate General – having noted that the matter is not addressed specifically in the Article - has turned to the relevant provisions of the Vienna Convention on the Law of Treaties (VCLT) on which Article 50 TEU is based. There, he finds that Article 68 permits notifications of withdrawal from an international treaty to be revoked at any time before they take effect. And since the EU treaties are still regarded as international treaties, Bordona has chosen to apply the provisions of the Convention. The law being the law, however, it could have gone the other way (and still might). As I remarked in a piece written two years ago, he could have relied on the legal maxim, ubi lex voluit, dixit; ubi noluit tacuit. This means, in effect, that where the law (treaty) has no wish to regulate a matter, it remains silent. Thus, because Article 50 specifically does not deal with the matter of revocation, it must be assumed that revocation is not permitted. If it was intended, the Article would have said so. This, of course, relies on the principle of lex specialis derogat legi generali – specific law overrides general law. If European Union Treaty provisions could be taken as overriding Article 68 of the Vienna Convention in the absence of explicit provisions in the treaties, a right to revoke the Article 50 notification cannot be assumed. However, the Advocate General does not rely entirely on the VCLT. A little past the top of the second page of the press release, he deploys what might be considered a "bombshell" argument. Because withdrawal from an international treaty is the reverse of a treaty-making power, it is by definition, he avers, a unilateral act of a State party and a manifestation of its sovereignty. Thus, unilateral revocation would also be a manifestation of the sovereignty of the departing Member State, which chooses to reverse its initial decision. The irony should not go without remark. We are dealing with the ECJ, an organisation which has an effect on sovereignty similar to that of Kryptonite on Superman. And a senior officer of this institution is stepping in to protect the sovereignty of a nation which is leaving (in part) because of complaints of loss of sovereignty. But the irony doesn't stop there. The activists behind this case are motivated primarily by their desire to reverse the result of the 2016 referendum, all so that we can continue to ladle the powers of the UK government into the maw of Brussels. Similarly, never in recent times do some members of the Commons seem to have been so fiercely motivated to defend the powers of their "sovereign" parliament as when they are faced with a return of power from Brussels, and want to give it back. The only time we see them acting as jealous guardians of parliamentary sovereignty is when they want to reduce their own powers. If his proposal is endorsed by the full court, the Advocate General may have made that process easier, but not just by allowing unilateral revocation of Article 50. Further into the ECJ press release, we see the observation that a Member State is required by Article 50 to frame its decision to withdraw from the EU "in accordance with its own constitutional requirements". If this is "projected onto the subsequent phase" (of negotiating the terms of its withdrawal with the EU institutions), in such a way that if the withdrawal decision is revoked in accordance with the departing Member State's constitutional procedures, its constitutional foundation will disappear. If one takes that a little further, it could have massively important implications. What Bordona is saying, in effect, is that the decision to withdraw from the EU is valid only as long as it is underwritten by its constitutional foundation. By contrast, therefore, if the foundation "disappears" the decision is no longer valid. Since the Miller et al case in the Supreme Court, it is now undisputed that the "constitutional foundation" amounts to a vote of approval by parliament. Now, according to Bordona,if parliament withdraws that approval, the UK's Article 50 application is no longer valid. That this removal could now happen came with another event of yesterday, when Dominic Grieve won a motion in the House, by 321 votes to 299, to amend a standing order on what amounted to an arcane procedural matter. What this does is address the situation where parliament rejects the Government's negotiation package. When that happens, a provision of the European Union (Withdrawal) Act 2018 kicks in, requiring a Minister to make a statement of intent on the government's proposals, followed no later than seven sitting days afterwards by "a motion in neutral terms, to the effect that the House of Commons has considered the matter of the statement". Until yesterday. under the provisions of Standing Order No. 24B, this motion could not be amended by anyone other than a Minister, a situation changed by Mr Grieve's amendment. The Standing Order has been disapplied and MPs are free to table their own amendments, for selection by the Speaker. It is at that point that a motion could be introduced, overturning the approval of the Article 50 notification, thereby removing its constitution foundation and rendering it invalid. Here, though, Bordona suggests that "certain conditions and limits" should apply to unilateral revocation. First, he says, like the notification of the intention to withdraw, the unilateral revocation must be notified by a formal act to the European Council. While the nature of that "act" is not specified, if one assumes that it constitutes a formal notification by HMG, then Mrs May will continue to exercise some control. She can block the process by refusing formally to communicate the parliament's action to the Council. However, that writ only applies to unilateral ratification. 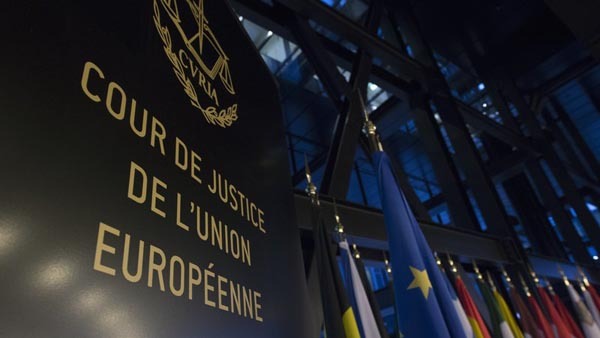 If the constitutional foundation has "disappeared", what is to stop a further reference being made to the ECJ – perhaps by the President of the European Council (maybe at the request of UK MPs). And, if the Court then ruled that the notification was no longer valid, the UK's bid to leave the EU would lapse. Until we leave the EU, of course, we are still subject to EU law, and if the ECJ rules that our Article 50 notification is no longer valid, we really have nowhere to go. An appeal to the UK Supreme Court could only deliver the same finding as the Luxembourg court. Arguably, therefore, we are closer today to being sucked back into the maw of the European Union than at any time since the referendum. And, under writ of the ECJ, there is not even any need for the uncertainty of a referendum before the event. Rather, we might find that the government's response to a declaration of invalidity would be to hold a new referendum, to confer a new mandate. In the absence of an unequivocal victory for "leave", we could find parliament refusing to authorise a further Article 50 notification. And that leaves space for just one final irony. Tucked in the Telegraph today is an authored piece from Nigel Farage announcing that he is leaving Ukip, thus abandoning the party to the extremists who will drive it to extinction. Farage is not without responsibility for that state of affairs. As I remarked on Sunday, not only did he desert the party after the referendum, leaving it open to a take-over, his failure to bring forward suitable successors has left the leadership vacuum which Batten is now filling. Now, when we probably need Ukip as much as we have ever done – if not more – we have an empty shell of a party and no rallying point. All we have to rely on are the untrustworthy Tories, where Mrs May will use the ECJ intervention as further grounds for supporting her plan. We are rapidly coming to the situation where the best possible outcome for leavers is Mrs May's plan. Increasingly, there is the prospect of us not seeing Brexit at all. But then, Farage might get to keep his job. Who will claim credit for that, I wonder?